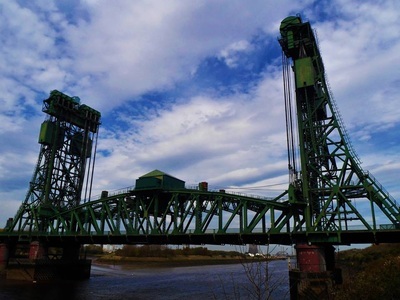 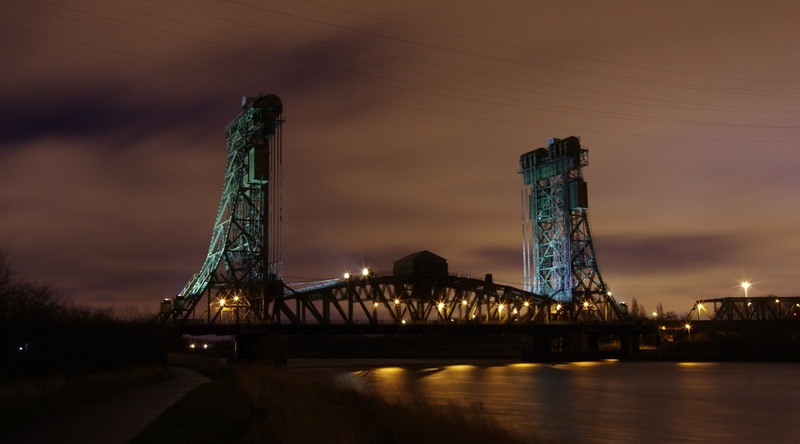 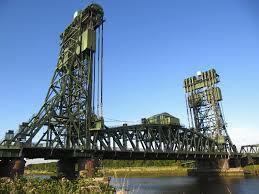 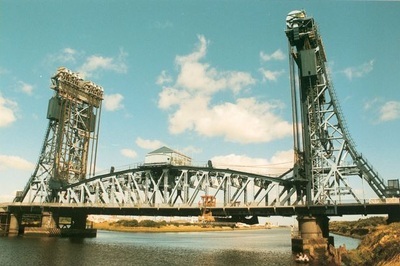 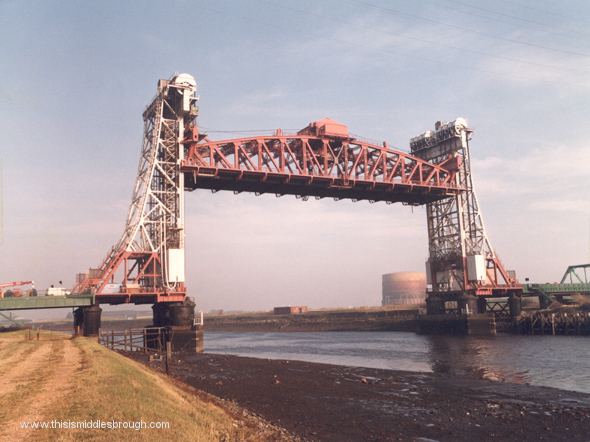 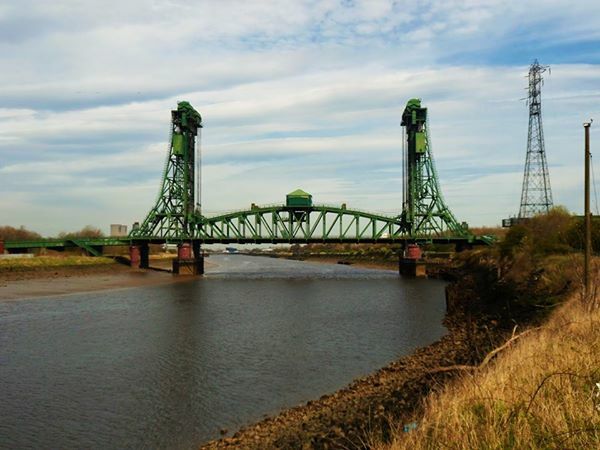 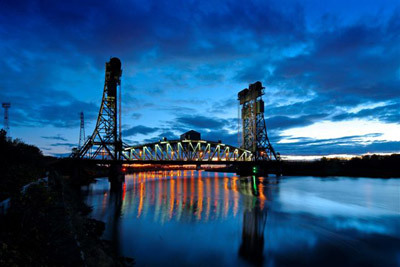 Newport Bridge straddles the river Tees between Stockton and Middlesbrough . 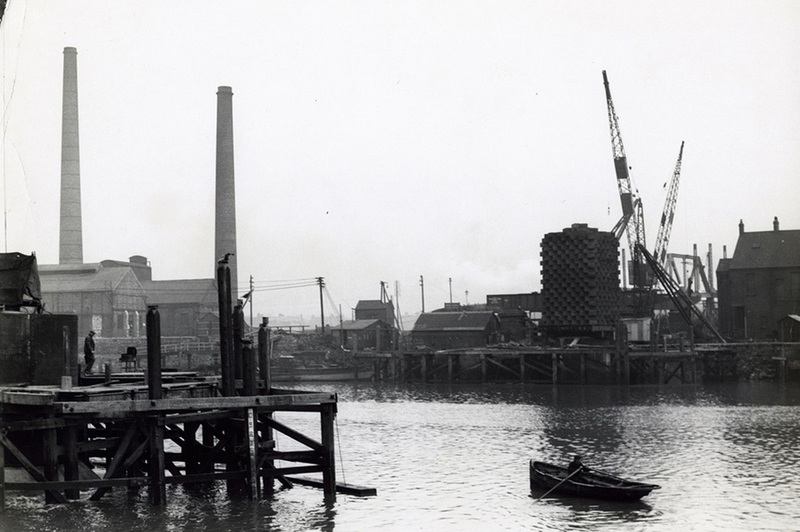 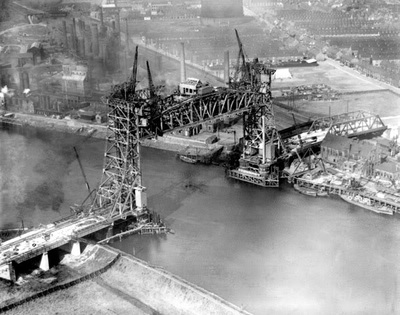 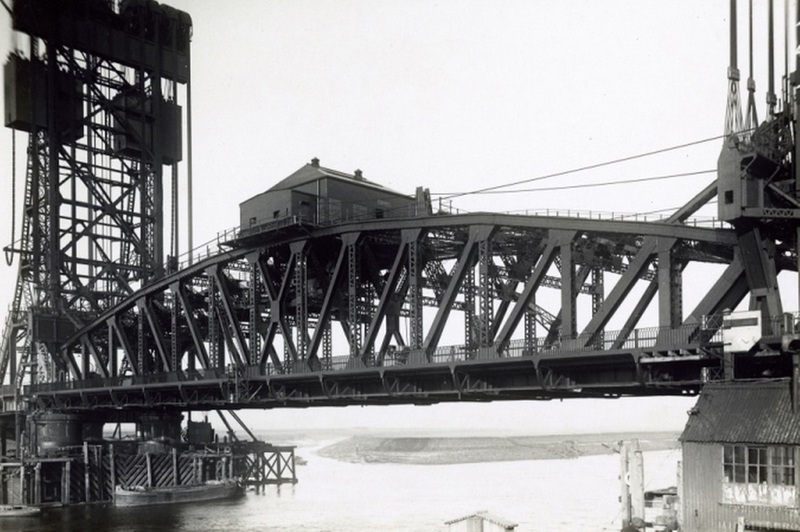 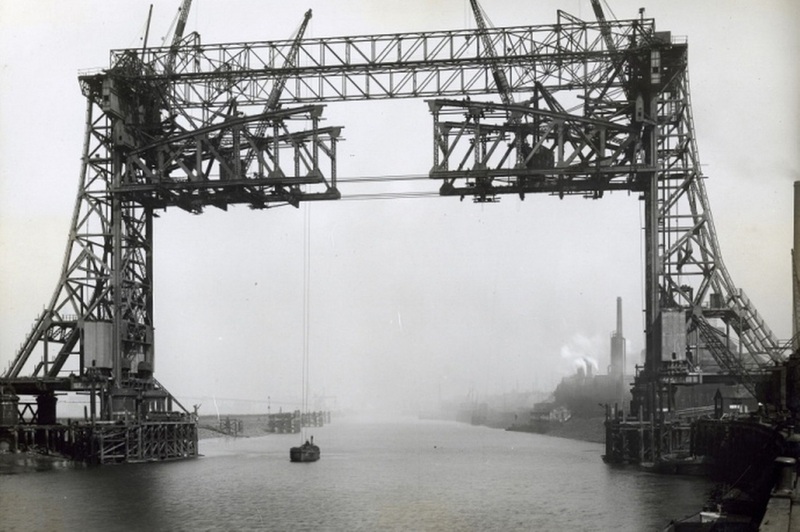 More than 100 historic pictures showing the building of Newport Bridge have been unearthed by researchers – 80 years after it was built. 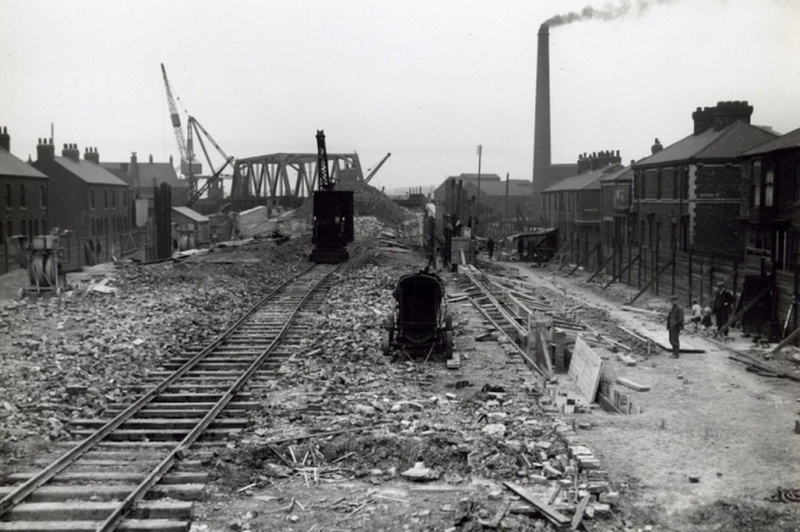 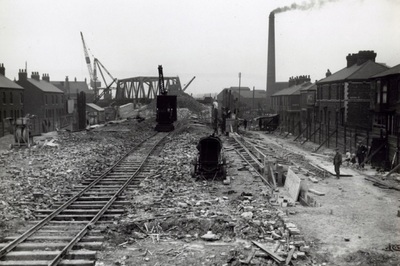 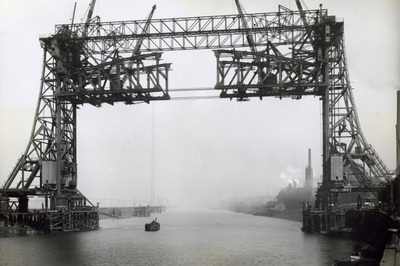 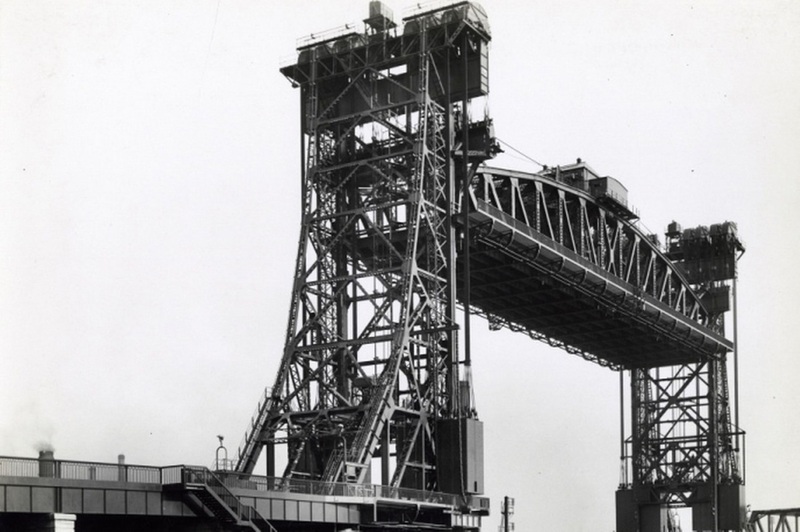 The striking images of the bridge, which celebrates its 80th anniversary in 2014, were uncovered in Teesside Archives’ yet to be catalogued Cleveland Bridge Collection. 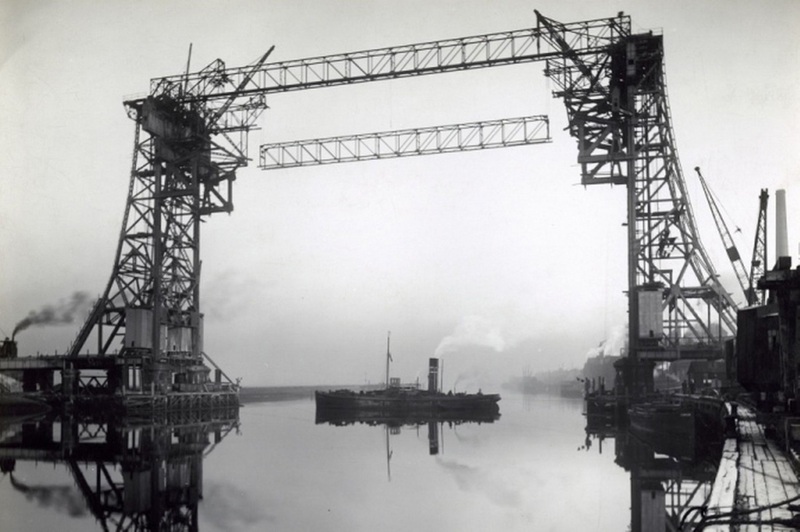 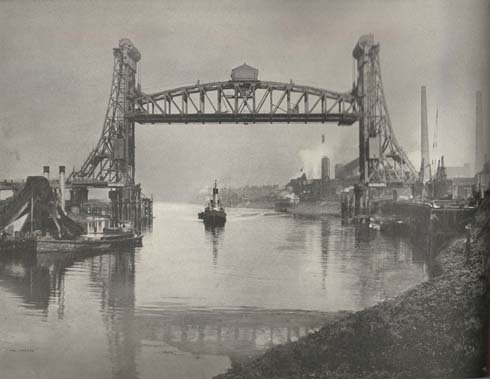 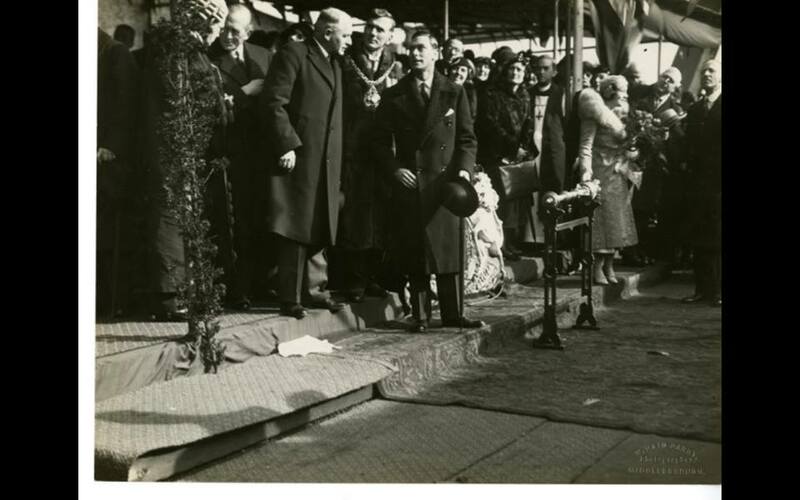 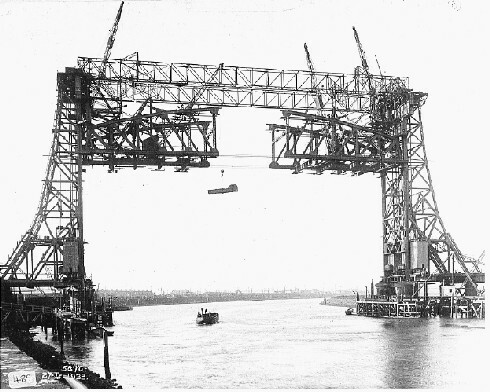 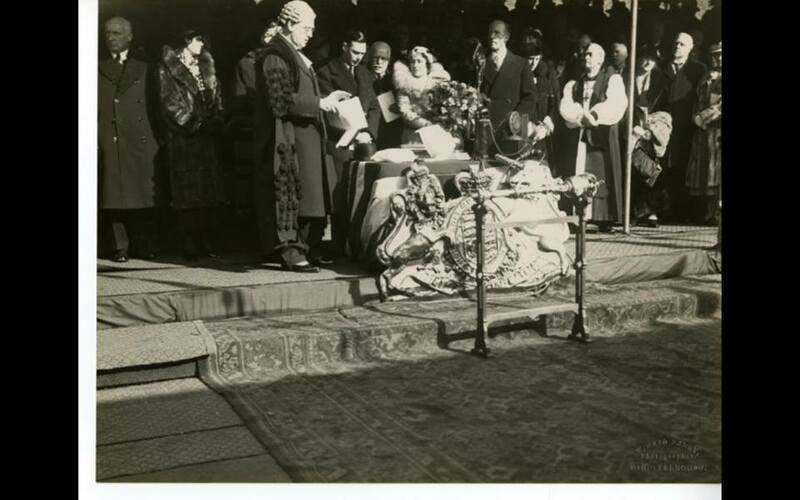 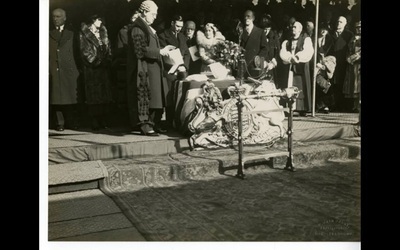 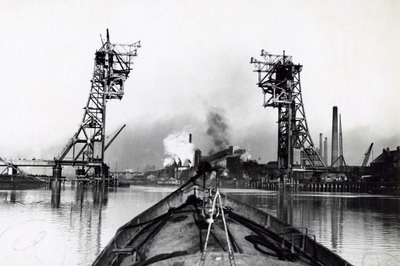 The collection shows photographs of Tees Newport Bridge dating from the early 1930s, many of which were taken by historic Middlesbrough based photography firm W. Haig Parry. They showcase the landmark’s development from the construction of approach roads which saw the demolition of nearby housing towers to the structure’s anchor span being lowered. 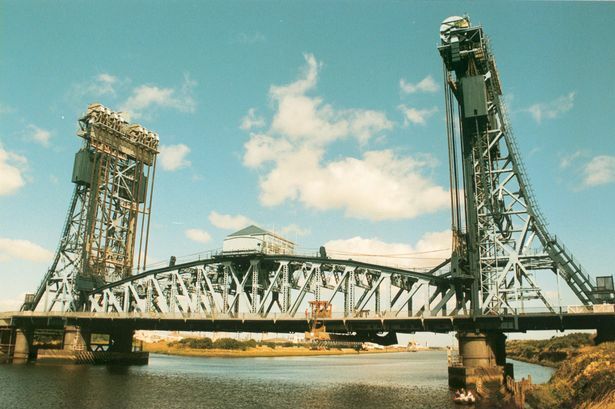 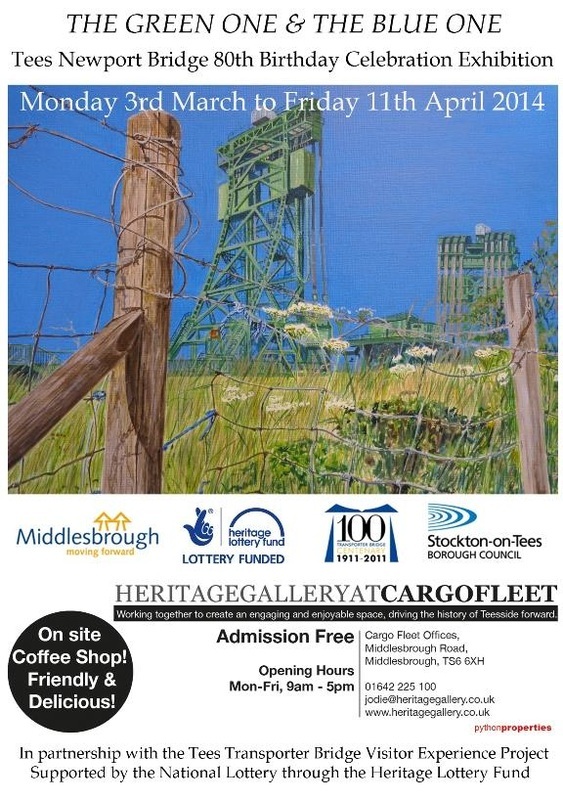 The collection was uncovered by Tosh Warwick, of the Tees Transporter Bridge Visitor Experience Project, and Teesside University graduate and Tees Valley Community Foundation intern Jonathon Hooton. 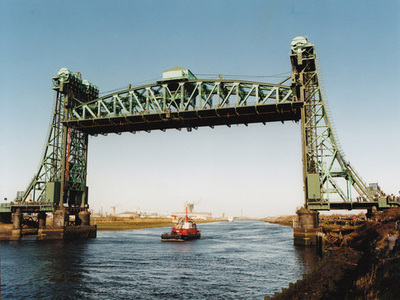 Origin of the place name `Stockton `. 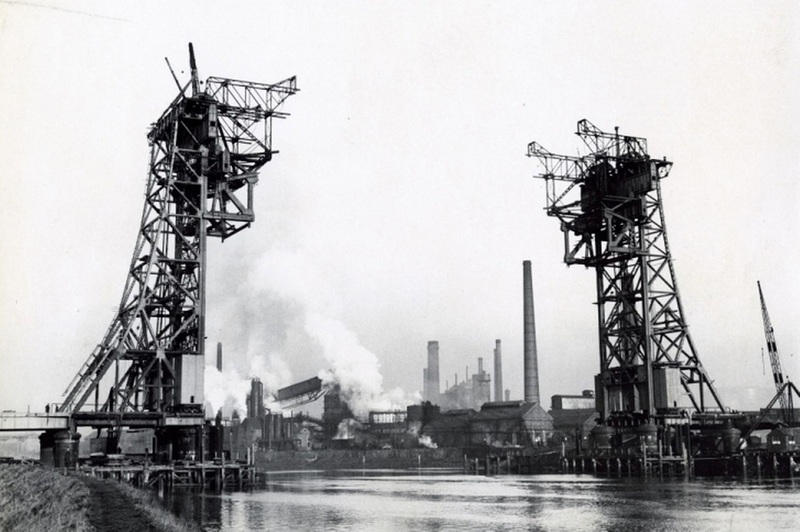 John Walker:Inventor Of The Match .